Buy Ritchies Corks Tapered - 30's online from our UK Homebrew Shop. 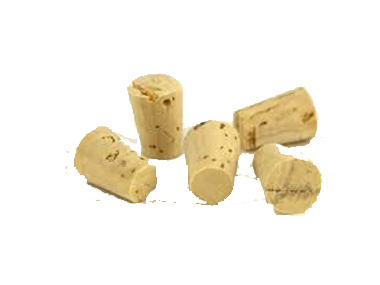 We sell Tapered Corks - 30 corks and other genuine Ritchies products in the UK. Use these corks for bottling 750ml wine bottles. For making wine at home! It is advisable to use a hand corker. Easier to fit than straight corks, but might be as tight. Where to buy Ritchies Corks Tapered - 30's safely online? Shop at the Stirling Homebrew Shop if you are wondering where you can buy Tapered Corks - 30 corks safely online in the United Kingdom. Corks Tapered - 30's - Tapered Corks - 30 corks in Homebrew Accessories and Homebrew.